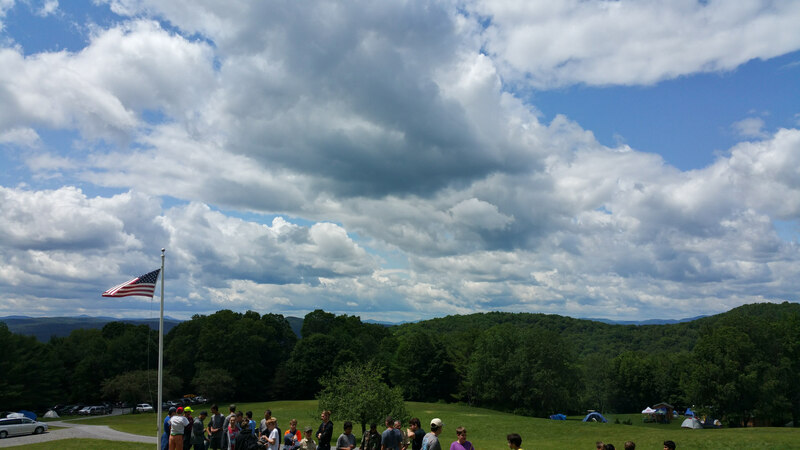 During the last week of June, Jacob Weed, the CEO of DCS of New York, attended scout camp with his son, Lorenzo. Jacob spent the week at Camp Joseph in South Royalton, Vermont, helping Boy Scouts earn merit badges for programming and photography. Equipment was supplied by DCS of New York and Green Mountain Technology and Career Center. Thank you Ted Weed from GMTCC for all the hard work and long hours preparing equipment and helping make this a great experience for everyone involved. Scouts line up at Camp Joseph, in Vermont for a Flag Ceremony during June 2017. Camp Joseph is located in South Royalton, Vermont.